ShopbyStone.com - What is a Cocktail Ring? A cocktail ring is any large and showy ring worn for special occasions usually on the right hand to differentiate them from regular engagement and wedding rings worn on the left. Cocktail rings were also called dinner rings or dress rings. 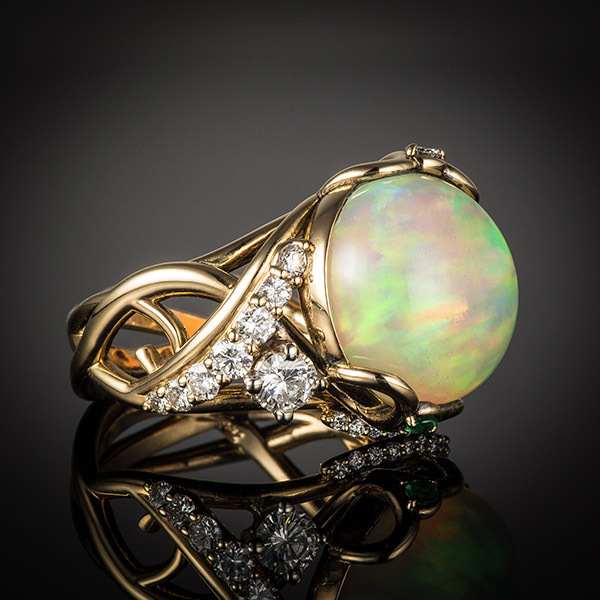 They were usually worn on either the index finger, ring finger, or both. The rules for their number, position or design were generous. They usually were large gemstones or a combination of several gemstones in a large arrangement. Although they originated during the Prohibition era of the 20's, they were most popular in the 40's and 50's, after the Prohibition ended and secret cocktail parties turned into lavish dinner parties. 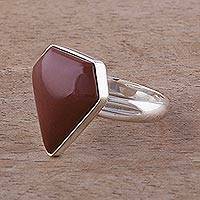 They regained popularity in the 80's and continue to be a popular article of jewelry. Early cocktail rings usually had a large diamond in the center with smaller gems or diamonds surrounding the large centerpiece. 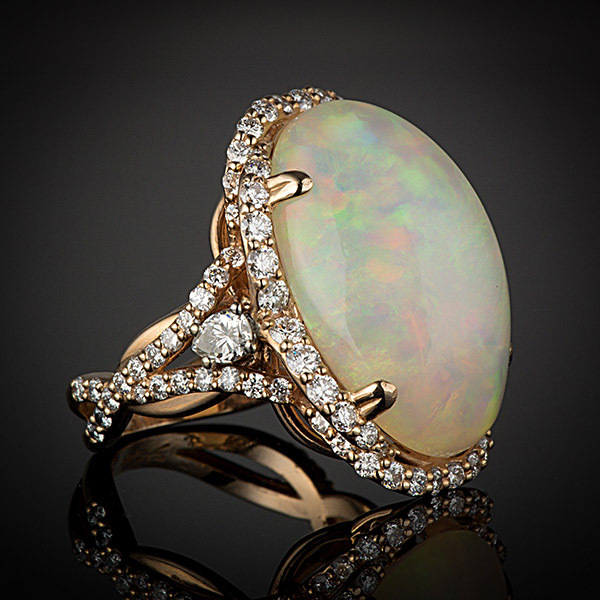 Newer cocktail and dinner rings feature other gemstones rather than just diamonds. 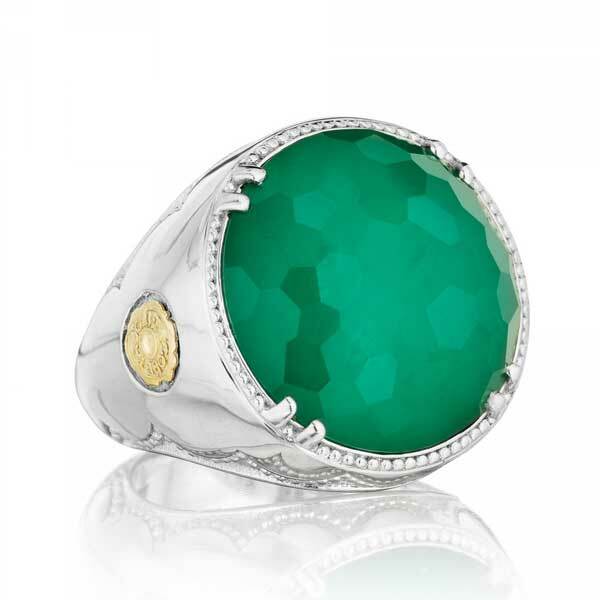 Adriana de Gadea designs a stylish ring with chrysocolla as the centerpiece. 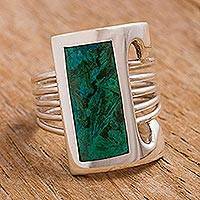 A gentle, soothing gem, chrysocolla is believed to foster artistic creativity. 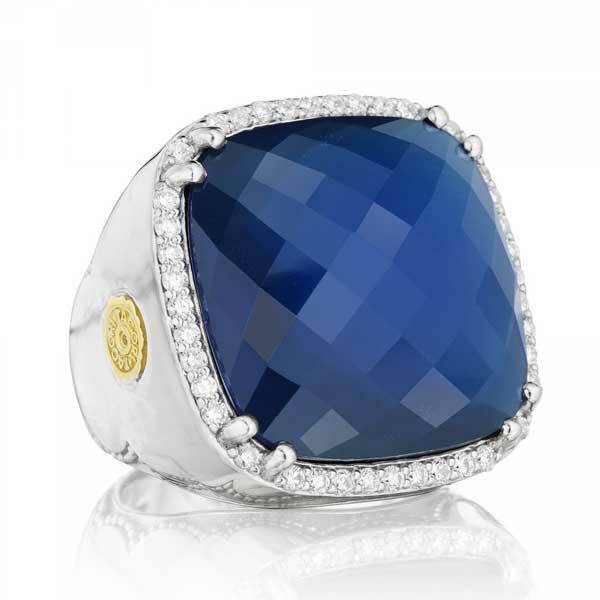 The rectangular blue-green stone crowns a sterling silver ring shaped from five hoops. 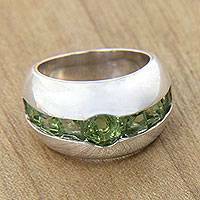 Centered by a circular peridot, a gleaming band boasts a halo of the lovely stones. They refract sunlight into lime green sparkles, contrasting beautifully with their sterling silver setting. 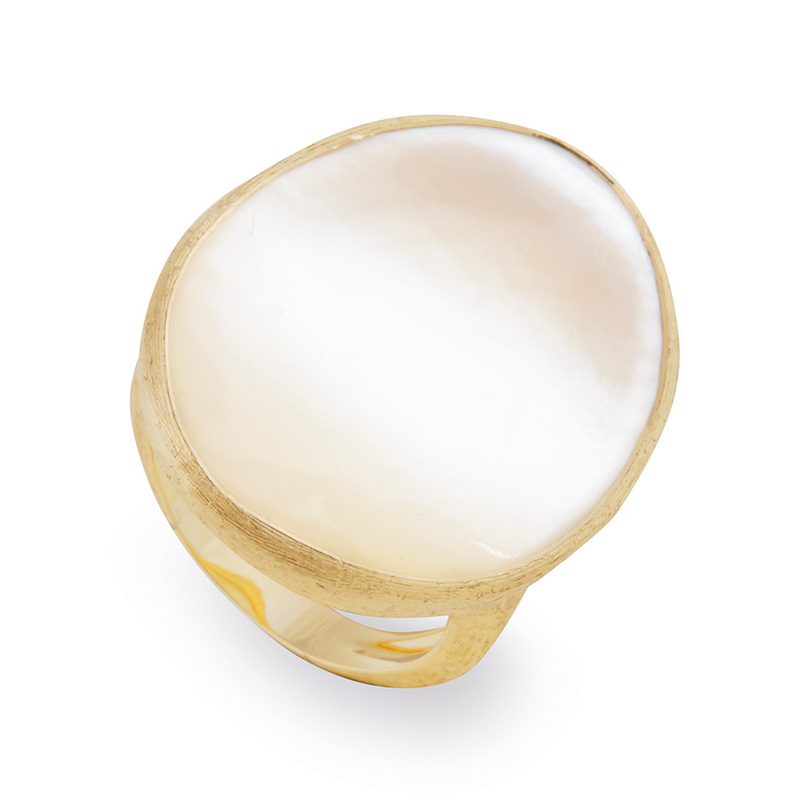 From the Mutiari Collection, this original ring showcases the skill of Balinese artisans.